Joan Williams, age 65, is now free from her battle with cancer and medical complications. Joanie passed on the morning of April 06, 2019 at UPMC Shadyside Hospital. 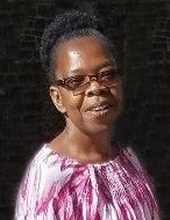 Joanie is survived by her three children: Yougnesse, Carla & Carl Williams Jr., her seven grandchildren: Shakeem, Jabari, Akilah, Jelani, Tyair, Ifeyani & Jahnai and her maternal siblings: Shirley, Edmond, Debbie-Anne, Esther, Naomi & Makeiba. Joanie also had paternal siblings, Darius, Joey, Daniel and Kashina. Joan was born on January 14th 1954 in Trinidad and Tobago. She immigrated to the United States in 1978 with her husband and 2 young children. She resided in Brooklyn, New York where she earned a cosmetology license and started a business as a natural hair stylist. Joan was a member and integral part of Trinity SDA church in Brooklyn and proudly hosted a weekly Sabbath school in her own home for the neighborhood children. Joanie loved working with children more than anything. When her own kids were grown, she became a nanny and started working with Mike and Ulka in NYC and then moved with them when they relocated to Pittsburgh. Joan found tremendous joy in caring for the couple’s four children. Joan was a member of Hillcrest SDA Church and loved being part of her church family. She was delighted to serve as a deaconess because it gave her the opportunity to do the thing she loved most; helping others. We will remember Joanie when we see colors, when we hear laughter, when we reflect upon her words of compassion and wisdom. We will remember her for her relationship with her friends, family and God. We will remember her for her patience, generosity and her countless acts of kindness. Joan was a loving mother, grandmother, sister, auntie, niece, cousin, friend and neighbor. To emulate Joanie is to elevate ourselves. Joanie’s celebration of life is scheduled for Tuesday, April 16,, 2019 at 11:00am at Hillcrest Seventh Day Adventist Church in Pittsburgh, PA. Burial services will take place immediately afterwards at Allegheny Cemetery and we will all return to Hillcrest SDA Church for the repass. All are welcome to attend and celebrate Joanie’s life wearing only festive colors and sharing happy memories. The family would like to thank the members of Hillcrest SDA church for being such a great church family to Joanie and being a great help in laying her to rest. The family would also like to thank Mike and Ulka for helping Joanie find a new life in a new place that she called home for twelve years with children she loved like her own. Flowers and donations can be sent to Hillcrest SDA Church. To send flowers or a remembrance gift to the family of Joan A. "Joanie" Williams, please visit our Tribute Store. "Email Address" would like to share the life celebration of Joan A. "Joanie" Williams. Click on the "link" to go to share a favorite memory or leave a condolence message for the family.